As other St. Edward’s University students memorize formulas, practice problems and scan chapter summaries, Ashley Guevara ’18 stays awake until 3:00 a.m. managing paperwork. She inserts data meticulously into spreadsheets, ensuring that at least 40 students have not only turned in their membership forms, but have also paid dues. 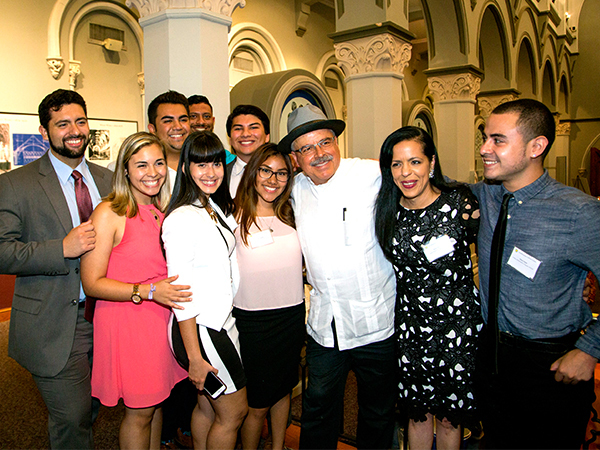 The deadline to form a League of United Latin American Citizens (LULAC) Council at St. Edward’s University is fast approaching. Ashley Guevara is no stranger to the league’s requirements for members. 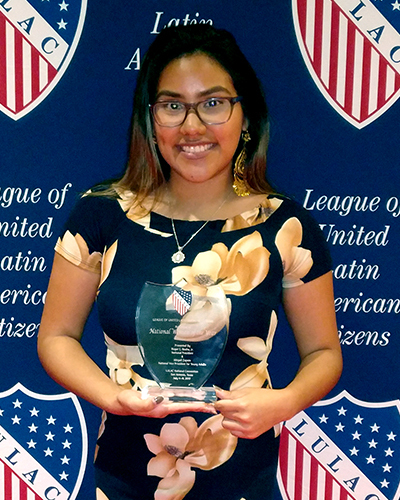 As a freshman at Irma Lerma Rangel Young Women’s Leadership School in Dallas, Ashley watched her older sister participate in LULAC and her father attend community meetings every first Saturday of the month. She felt drawn to the league’s long history and mission to improve opportunities for Hispanic Americans. “I just knew it was something I wanted to join,” she said. 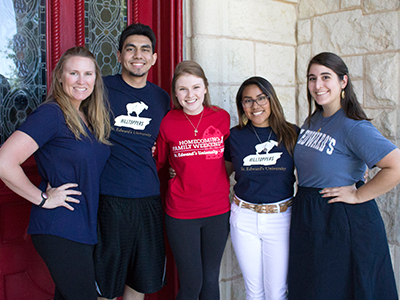 When she arrived at St. Edward’s University and realized there wasn’t a university LULAC Council to join, Ashley immersed herself in other campus activities. She participated in intramural soccer and volleyball, competed in Hall Olympics, attended a Campus Ministry retreat and became an Orientation leader. During her sophomore year, Ashley heard a fellow student was working to found a Council at St. Edward’s University. When the student transferred, Ashley finished the process. With one Facebook post, she received interest from over 100 students and followed up with each of them for national dues, state dues and district dues. Ashley turned all of the paperwork into Student Life and hit the ground running. Soon after founding the Council on campus, she was tapped for a LULAC district position – Deputy Director for Young Adults – in charge of the Councils at St. Edward’s, The University of Texas at Austin and other Young Adult Councils in the city and surrounding counties. Her knack for making a difference, particularly in the Young Adult Council sector, has already garnered the attention of LULAC leadership. At the District Convention last April, Ashley received the Young Adult Woman of the Year award. This recognition automatically put her into the running for awards at the State Convention in Corpus Christi. Busy with Family Orientation at St. Edward’s, Ashley missed the State Convention and found out on social media that she had been named the State Young Adult Woman of the Year. With the National Convention approaching in San Antonio, Ashley was worried she wouldn’t be able to afford the cost of convention dinners and lodging or fit in the host of weekend activities with her schedule. “I was taking classes in the summer, so a lot was going on. I was doing Orientation, going home sometimes, going back and forth between Austin and Dallas sometimes. I was so close to not going to the National Convention because I felt like it was too much,” she said. Ashley’s friend and fellow LULAC member encouraged her to go. She offered that Ashley stay with her at her grandmother’s house in San Antonio and spend money on at least one dinner – the awards dinner. Ashley didn’t realize until the dinner started why it was so important that she attend. She had been named the National Young Adult Woman of the Year. 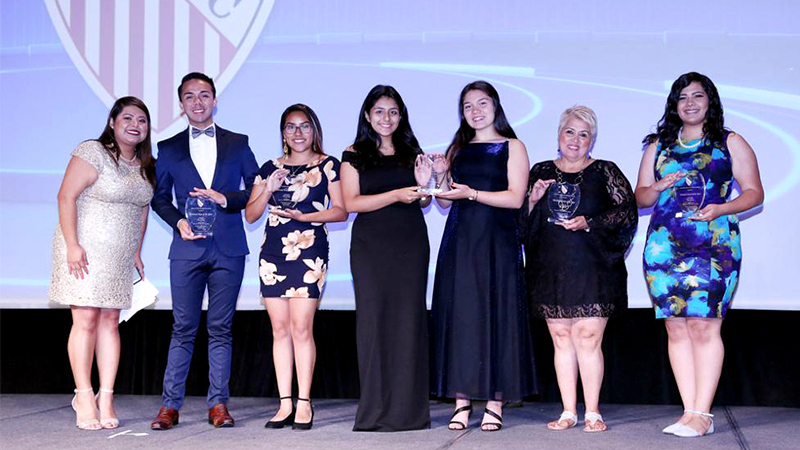 “I really feel like in my experience over the past six years, that LULAC stands by its mission to improve the Hispanic conditions in the United States, whether it’s healthcare, housing, economics, women’s rights,” Ashley said. And it’s this mission that motivates Ashley to advise the current president of St. Edward’s University’s LULAC Council, whether it’s with public speaking, decision making or morale building. 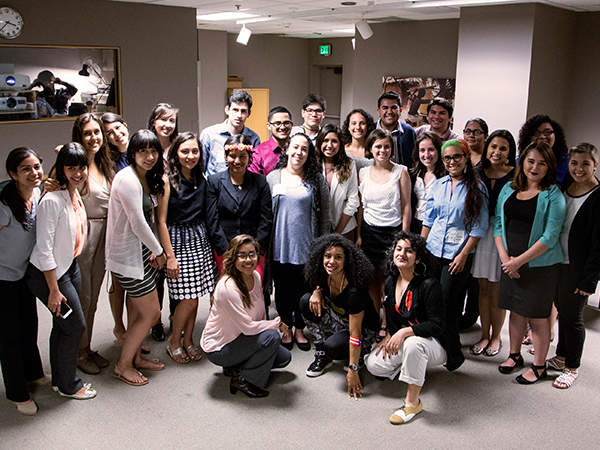 In the months following her high school graduation, Ashley participated in the Young Ambassadors Program with the Smithsonian Latino Center. She traveled to Washington, D.C. for a weeklong seminar and then experienced a four-week internship at the Fort Worth Museum of Science and History. “I feel like my perspective on things that I could do changed,” she said. The following summer, the program asked her to return as a staff-person during the D.C. training. After her first year at St. Edward’s University, Ashley decided to return to Dallas for the summer and intern at LATINA Style Inc., a national magazine dedicated to Latina professionals and business owners. She gained research, editing and even copywriting experience that complemented her Marketing and Entrepreneurship coursework. In the summer of 2017, Ashley decided to challenge herself and apply for a position as an Orientation Leader. She presented to over 100 parents and students at each Orientation session and practiced public speaking and customer service skills. This role allowed her to meet people outside of her friend group. 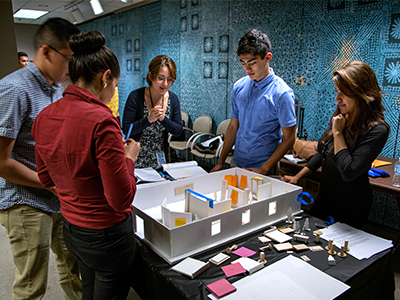 Ashley’s experience with the Smithsonian Latino Center continues to be a guiding force in her life. The organization recently created a mentorship initiative for previous participants, and Ashley was selected as a mentee. She will have the opportunity to meet virtually with a mentor – an experienced marketing professional – who can share with Ashley insider knowledge and advice on the industry Ashley wants to pursue. And if that wasn’t enough to fill Ashley’s busy schedule, she’s applying for internships in Austin where she can gain more experience. “I’m all over the place because I love politics, I love business, I love art and culture,” she said. “I always tell people, my end goal would be to own my own venue and to let people showcase their local art for artists.” Until then, Ashley plans to continue jumping into opportunities that fit her interests and the mission that organizations like LULAC and the Smithsonian Latino Center have instilled in her.